This grave has no markings. It is the Kishbaugh Infant; no dates; baby of John & Wilma (Randolph) Kishbaugh. It is a private burial on private property. 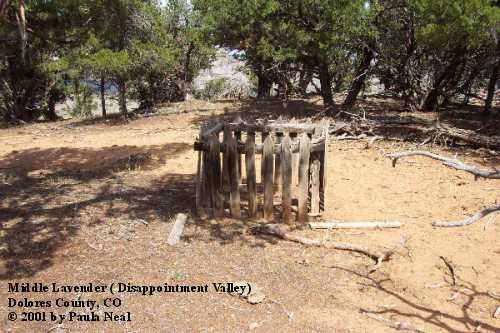 It is located on County Road 190, about 20 miles from Colorado 141. Up on top of the hill just south of the Henry Knight homestead.